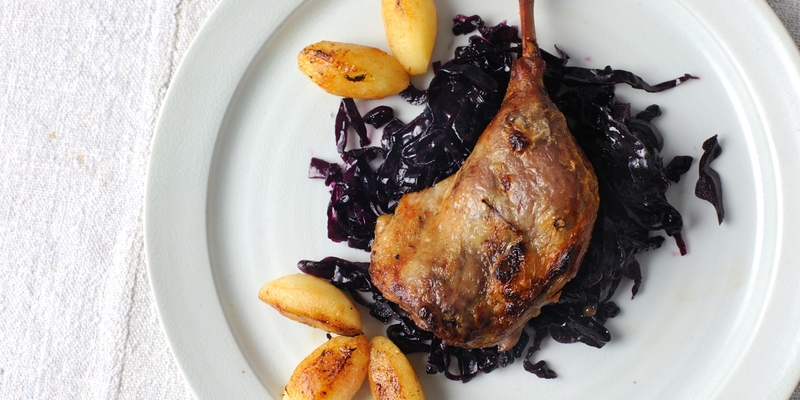 Duck legs are perfect for slow cooking as low temperatures and long cooking times gently break down the tough connective tissue in the well-used muscles resulting in intensely flavoured, tender meat. Try using red or white wine in place of the stock, or add different herbs and spices to the braising liquid such as juniper or cloves. Reduce the braising liquid for a tasty, unctuous sauce.